From Africa to Australia, and Ireland to Iceland, each breed has a legacy forever tied to the culture that created it for a reason. 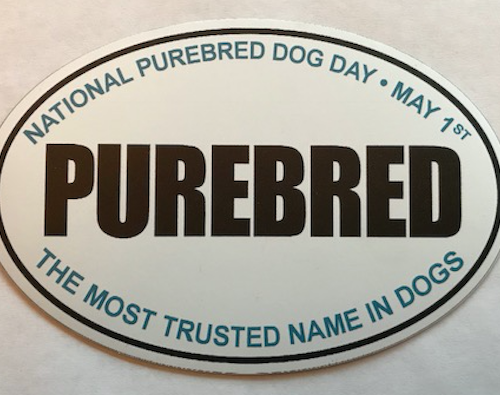 When that heritage is explained, we add another person more apt to understand why we care so much about purebred dogs. It’s one more person who may help us defend, preserve, and protect our dog breeds, some perilously close to vanishing in their own countries of origin, some outnumbered by Panda Bears! By encouraging others to ask you about your dog, you are taking a proactive stance. 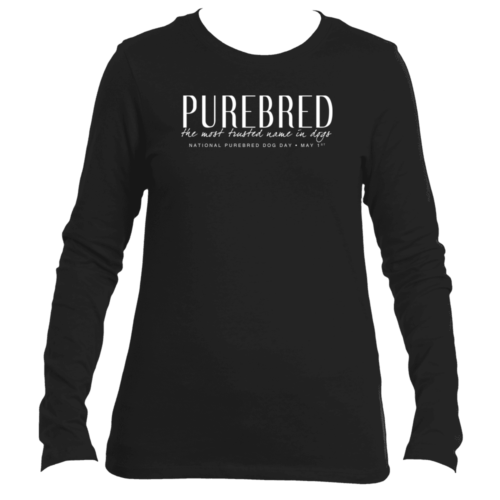 The rarer or more uncommon the breed, the more your dog needs to wear it! The more common your breed, the more likely it is to be taken for granted – all the more reason to explain why the breed special! Education begins with us. 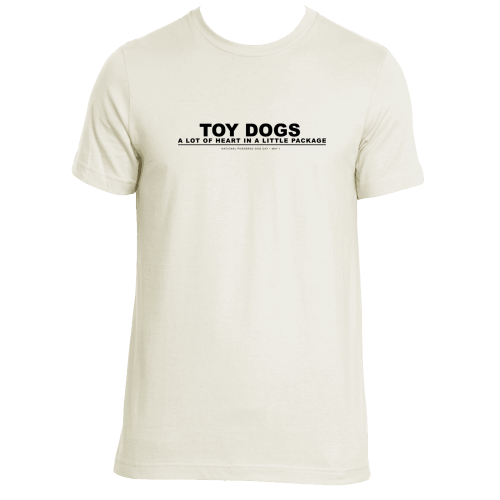 I purchase a large and a small for my JRT and GWP in 2017. 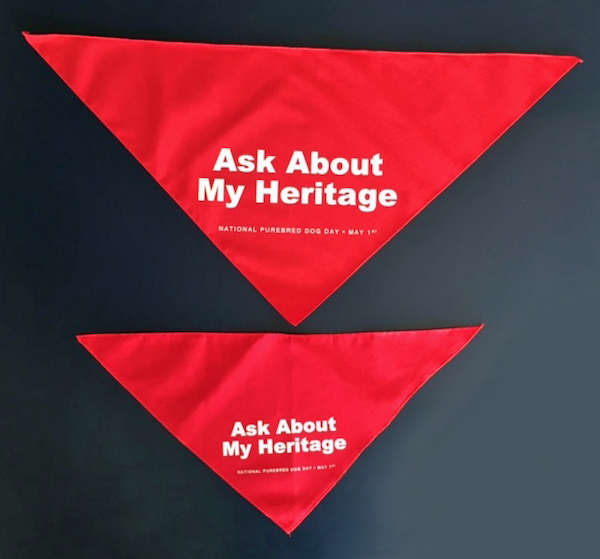 The dogs love wearing them and love to have me educate the public about their heritage! A must for NPDD – May 1.
washing they still looks brand new. The look so nice on the pups. Thanks, Barbara, we love them on the dogs, we agree!